Brookland was originally the farm of Col. Jehial Brooks. After his death, the area developed as an early suburb northeast of downtown Washington. The neighborhood is often referred to as “Little Rome” because of the extraordinary number of Catholic institutions (large and small) that have located there. 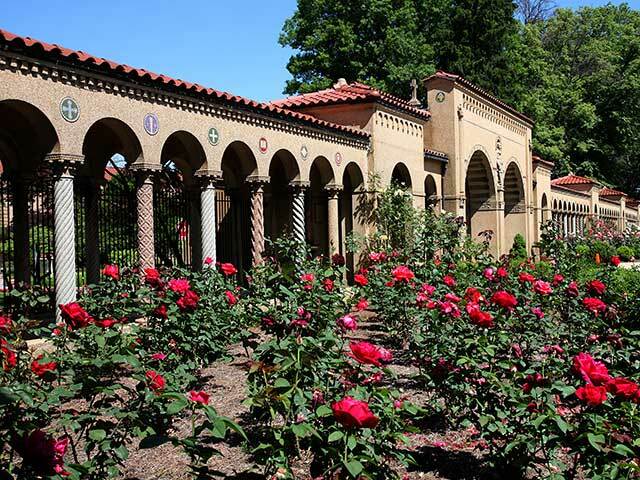 A walk through this quiet neighborhood reveals a surprising number of unique, beautiful buildings: the Jesuit and Augustinian colleges, the Franciscan Monastery gardens, the spectacular art deco Franciscan College, St. Joseph’s Seminary, and the hidden Varnum Campus complex. You’ll see some of the local neighborhood joints, too. Embarks from outside Brookland/CUA Metro Station’s 10th Street exit.